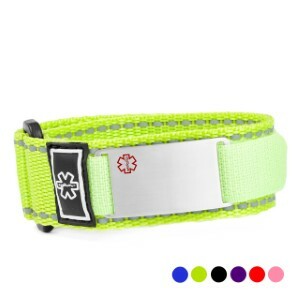 With a white medical symbol on the strap and reflective stitching, this sports assistive medical alert bracelet will help keep you safe while running outdoors at night! We can engrave your important medical care details to the front and the inside of the attached plaque. You can choose from black, pink, blue, red, purple, or yellow colors. 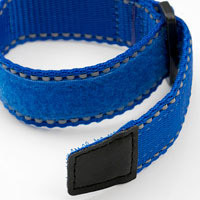 Choose from two sizes to best fit a child or adult. 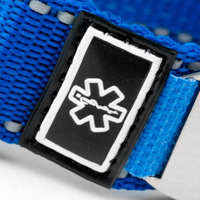 Though not entirely waterproof, these bracelets are water and mildew resistant. 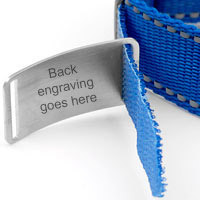 If you select back engraving, we will make sure to engrave the words SEE OTHER SIDE on the front near the top.